PRINTING. SHIPPING. FRAMING. MADE EASY. 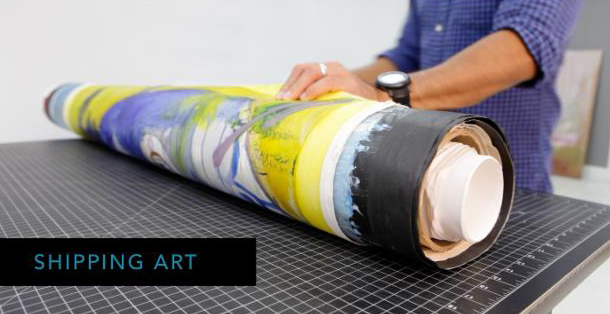 Rolling artwork means taking the works off their stretcher bars or out of the frames they are housed in and then packing them up to be shipped in a tube. When the artwork arrives at it’s destination, you simply re-frame or re-stretch them with the help of a local art handler or framer. On average, the amount of money to re-frame or re-stretch will me much less than the amount of money it costs to ship the works ready-to-hang. When done properly, this method is also much safer for the artwork. The changes of the piece of being damaged in transit are much lower. Ship your artwork with confidence and we will take care of the rest! 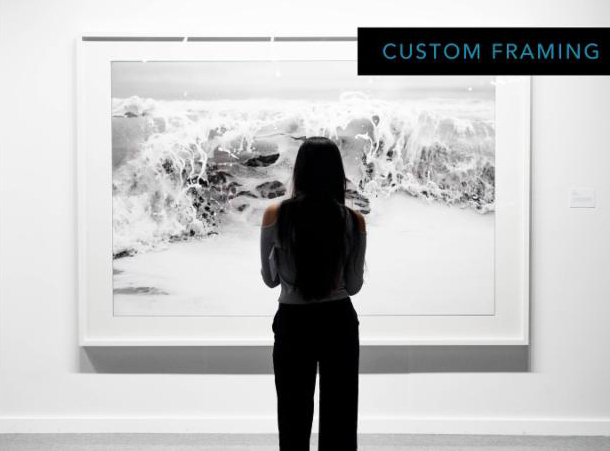 We specialize in contemporary conservation framing to present and preserve your artwork for the gallery, museum, home or office. We have over 30 years of experience and are passionate about what we do! At Work of Art, we operate a modern printing studio complete with color manage facilities. We house Epson certified professional printers and a wide range of hand selected papers all designed to provide you with the fastest possible turnaround time. In addition, we also offer a full edition and color management service to enable you to get the best possible result. We can print on any paper stock and paper size you require. Our customization is endless! Get ready for Art Basel 2017!